Master Pellow began his Taekwon-Do training in September 1980. 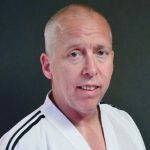 As well as Taekwon-Do Master Pellow has extensive experience in Filipino martial arts and Aikido. Since 1991 Master Pellow has attended many international instructors’ courses, one conducted by the founder of Taekwon-Do General Choi Hong Hi. 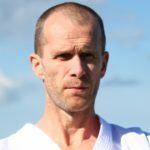 He has also attended numerous seminars and courses by international instructors such as Master Tom MacCallum, Master CE Sereff, Master Rhee Ki Ha, Master Choi Jung Hwa, Master Leong Wai Meng, Master Van de Mortel, Master Ung Kim Lan, Master Alberto Katz, Master Mark Hutton and Master Jerzy Jedut.